Harry (Apex, NC, United States) on 20 March 2019 in Landscape & Rural and Portfolio. yes..the bench looks pathetic !! May be the spirits use this in the night !!! The metal frame has beautiful rust. 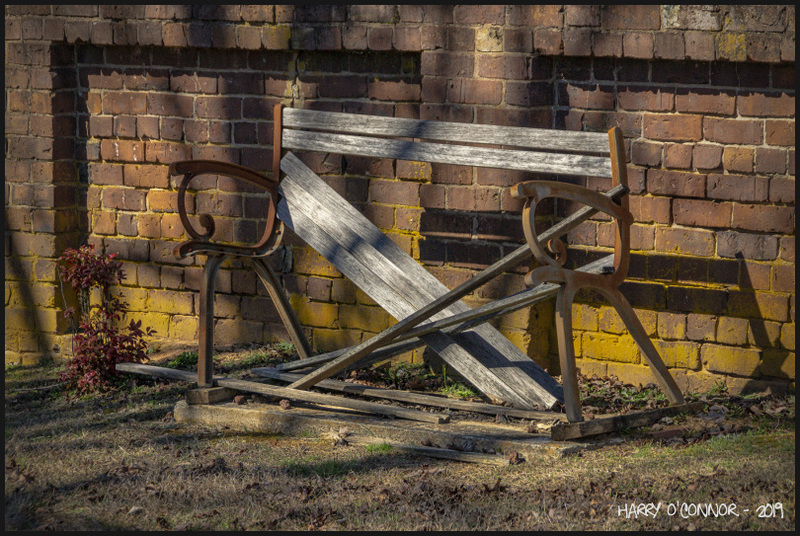 All you have to do is replace new boards to restore the charm of this bench. Very good and special photo. You have right from the stones in the wall. I, too, like the light and the play between the shadows and the recesses in the wall. Superb composition with the light ! It is difficult to rest there. I too like how the light adds a fine variety to this pictiure. An interesting find that won't stand for long. I love the way the shadows dance across the wall here. such beautiful frame, lights, shadows & textures! The lighting makes this so interesting!